Blue is without a doubt one of the most popular colors when it comes to home exteriors. The right hue can really give any home, regardless of its architectural style, a cheerful look that’s pleasing to the eye and that brightens the neighborhood. Of course, it’s not as simple as painting your house blue! You’ve got to consider the trim, windows, eaves, porch and other elements when it comes to accent colors. On this list, you’ll find 24 beautifully blue home exteriors. The styles of home we’ve collected run the gamut, as do the ways in which these homeowners have chosen to accentuate their blue exteriors with other bold color choices. However, there’s one thing that every home exterior we’ve selected for this list shares in common: each example is as equally attractive as that last, perfectly balanced and perfectly conceived. So, if you’re currently thinking of putting a fresh coat of paint on your home, or if you’re designing a new home from scratch, and you think blue is the color you want, then take a look at these amazing examples. There are a number of different color and material schemes that might would excellently for you, and we think you’ll be inspired by them! 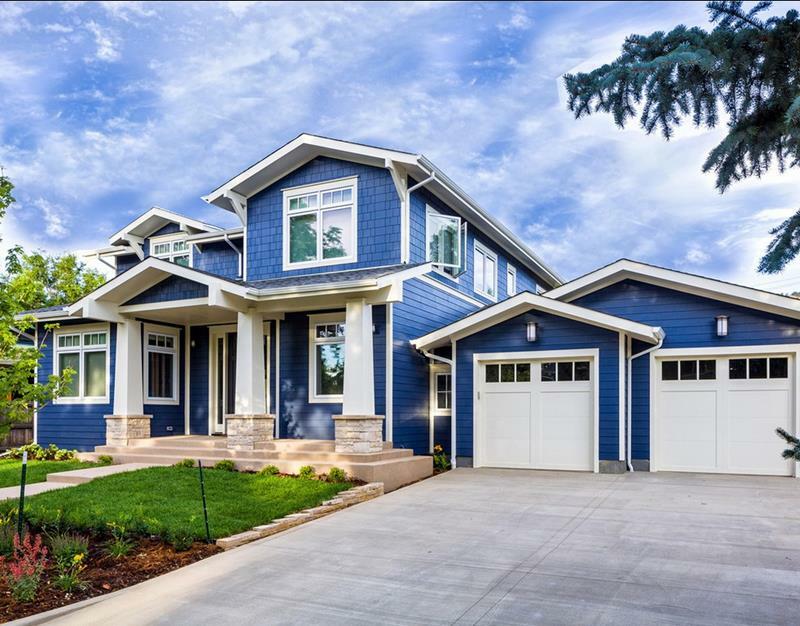 The use of light blue shake on this Craftsman style home really accentuates its architectural features. 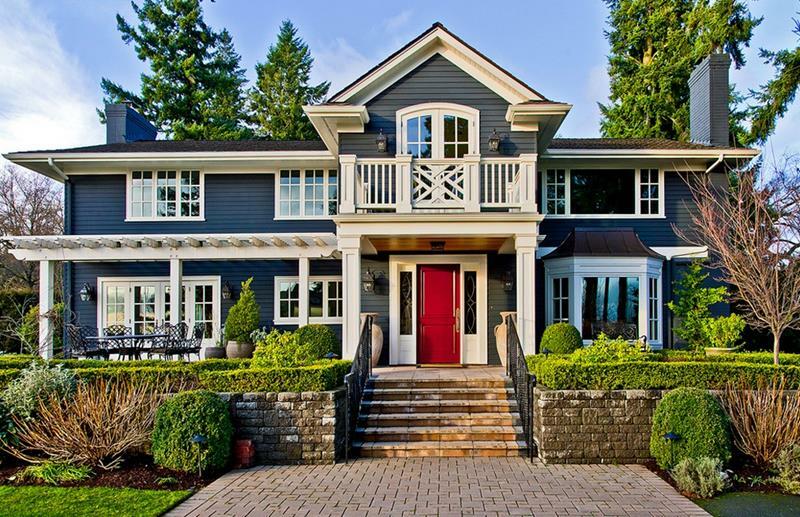 For this navy blue home, a red front door is all that’s needed to make the whole design pop. When it comes to accenting the exterior of a blue home, white is the color of choice. This home does it beautifully. There’s a lot to love about this blue home exterior, but the brick foundation is an excellent choice.